Focused on creating a beautiful outdoor space for residents of the Brown Stone House Condominium, the engineer constructed structural retaining walls to maximize functional space for a wide parking lot and a garage drive-in. Ideal for handling grade changes in such demanding landscapes, Pisa2® / Concord WallTM was used to form this retaining wall system with steps on the sides. 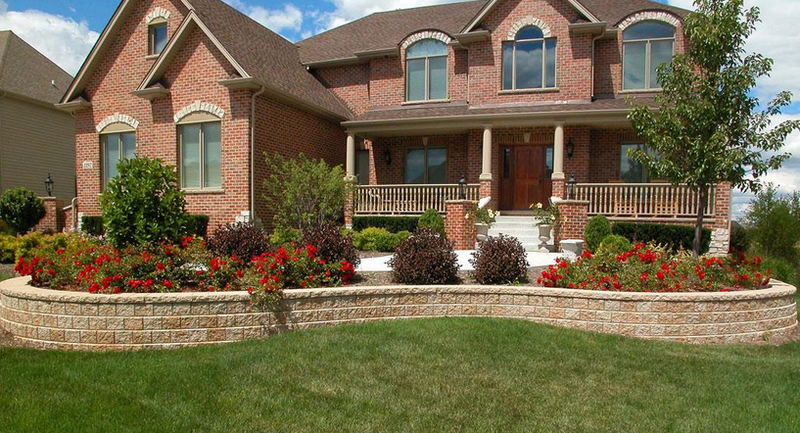 Paired with railing features on top and surrounding planter accents, this retaining wall perfectly blends in with the surrounding stone facades, all while ensuring high structural stability.